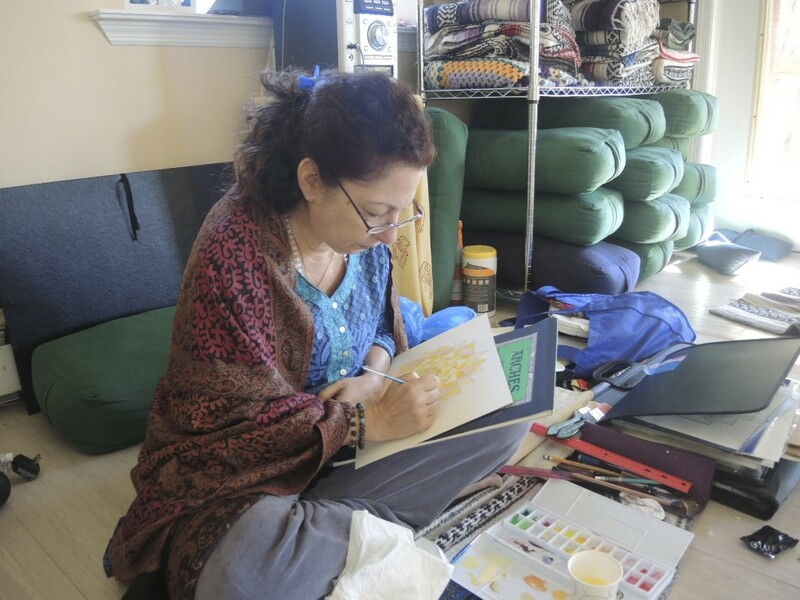 I attended a Sacred Yantra Painting Intensive with Mavis Gewant and Pieter Weltevrede this past weekend. They both were very close students of the late Tantric Artist and Yogi Shri Harish Johari. 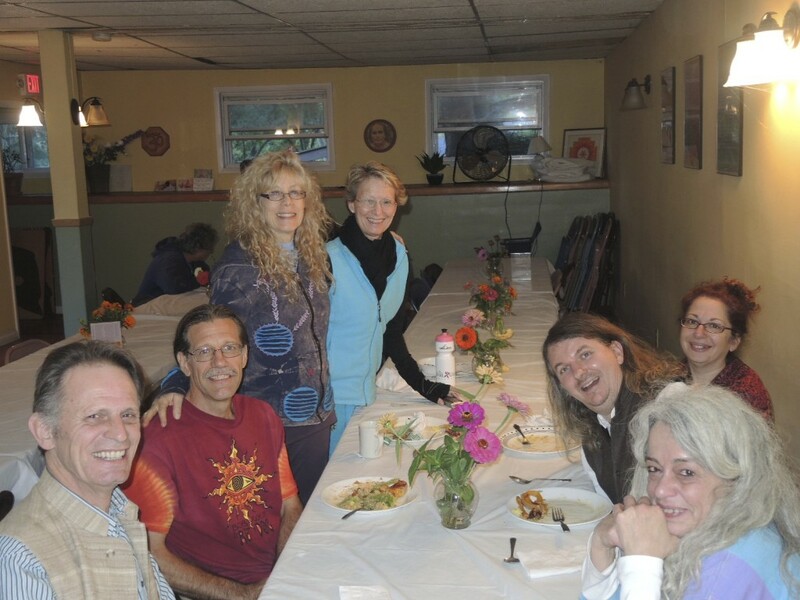 It was a wonderful class at Ananda Ashram in Monroe NY. 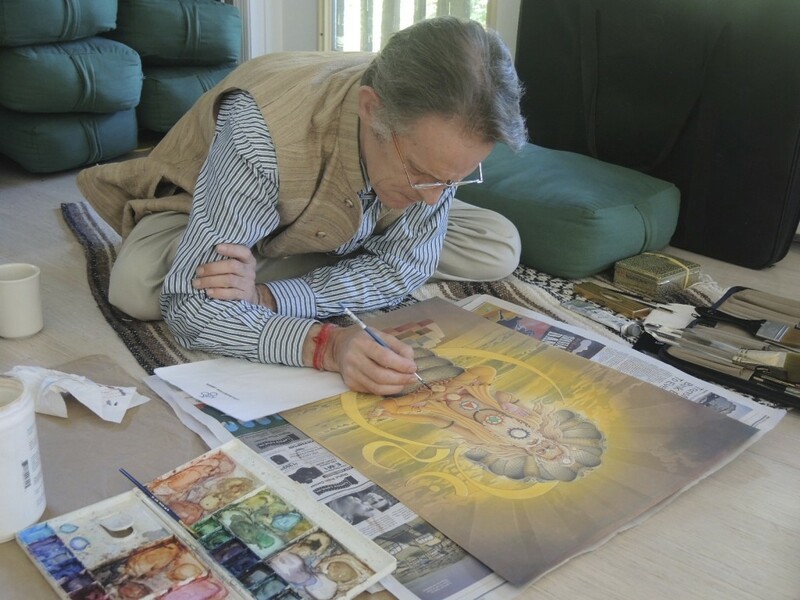 We each created a Hindu yantra, and/or deity painting done in gouache and watercolors. I also brought many pieces that I had started and got the expert advice I needed to finish them.